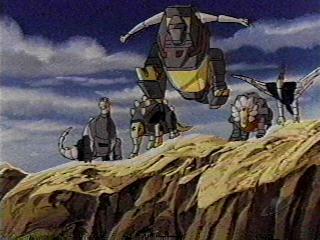 Grimlock sees the Constructicons collecting the Cybertronium from the space bridge and leads the attack against them so the Dinobots can enter the space bridge. 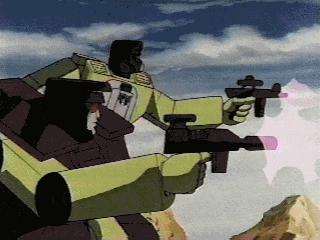 Bonecrusher and Scrapper try to shoot Swoop, Mixmaster fires at Slag, then Hook and Scavenger shoot at all the Dinobots. 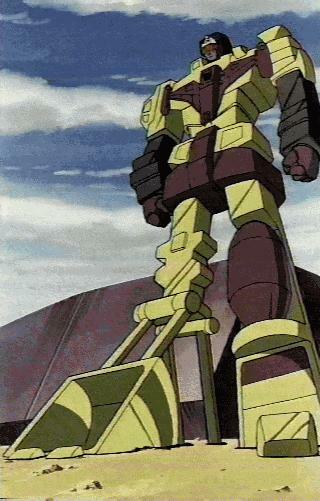 The Constructions merge in a really neat way. 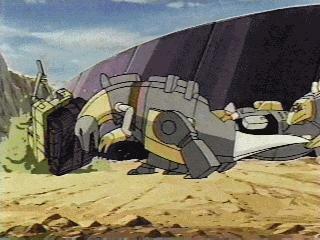 Grimlock and Sludge push Scavenger while the other Constructicons are merging to form Devastator. 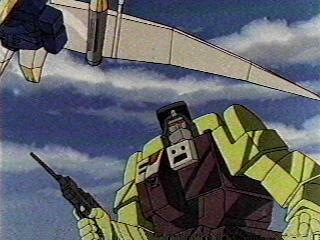 Devastator helplessly attempts to grab Swoop with only one hand and fails. 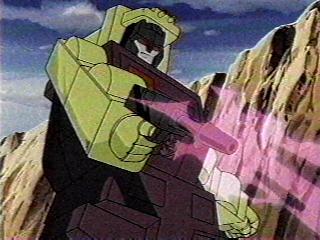 The Dinobots then enter the space bridge and travel to Cybertron with the Cybertonium. 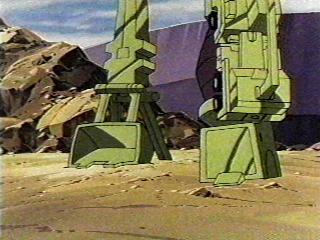 Here are two wonderful full body shots of a complete Devastator guarding the space bridge. 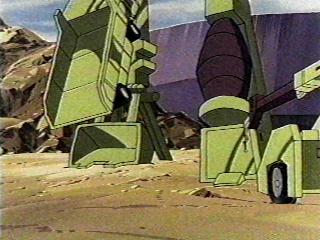 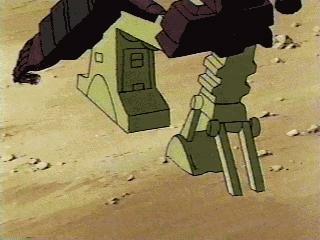 Devastator tries to stomp on Carly's car while she and Spike try to enter the space bridge. 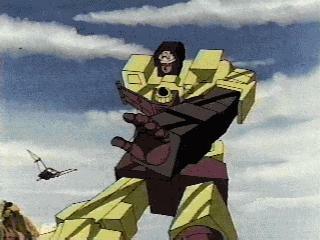 Devastator was unsucessful in his attempts.